This post is 100% about my travel addiction. I have so many family members and friends who ask about my life of adventuring. "How do you afford it? Where should I travel? Why are you never home? What's your favorite food place in ___ region? Where should I stay?" Well, today I am laying out where I've been and where I want to go. For those of you who know me, you know traveling is my number one love. I really feel if I don't see all the places on my list, I will meet my maker all too soon. It all started with the good ole' USofA. I started traveling when I was 6 because I would bounce back and forth between my parents. The beauty of divorce is that I grew up sleeping on planes and traveling to places like the Dominican Republic, Turks and Caicos and New York City while growing up in Connecticut and Florida. Swimming was the second reason I grew up traveling. Since Rhiannon was a world class athlete, we traveled to meets all over the country (sometimes I would even qualify!). College also fed my travel bug. I always knew I would go out of state for college and swimming for Duke, I got to continue traveling for swim meets. However, it was my summers that I truly spent exploring the world. 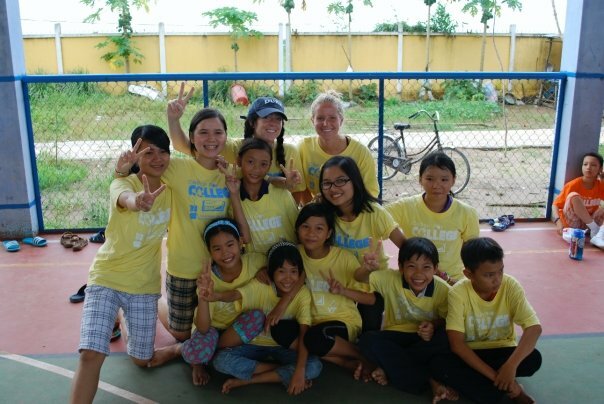 I taught in Vietnam and Tanzania for two consecutive years through two Duke sanctioned programs. I loved every second of it. As soon as I graduated and no longer had a commitment to school or swimming, it was clear that I needed to follow my passion for travel and photography simultaneously. For my first international trip, my friend Liz and I backpacked through Europe! Although I had been to most of the US and exotic places like Thailand and Zanzibar, I had never seen Paris! After this vacation, I continued to travel to places like Greece, Pamplona, Banff, Iceland, Bora Bora & Australia.. Why am I telling you all of this you ask? I feel like the list I am about to share needs this context. Without seeing Paris or Santorini on this list, some might think I'm crazy! So, without further ado, here is my destination wedding & portrait bucket list. It starts within America and then branches from there! I also included some personal locations at the bottom (no couples necessary). Shooting a wedding at my Alma Mater? What could be better!? Is it weird that my home county is number two on my bucket list?! Nope. While I have shot at Flagler and the Colony, there are venues all over my hometown that I am dying to shoot at! These include the Sundy House, Vizcaya, Morakami, Bethesda by the Sea and countless others! My ultimate goal is to become a snow bird and split time between Florida and DC. I want to surf the sand dunes and then shoot a rad Cali couple! Also very similar to Boone Hall and Magnolia in Charleston, SC. This is by far the closest location! In fact, Ben and I almost got married here! I had an inquiry to photograph a wedding here but I was already booked. Dream location! I am completely in love with this funky little hotel! It reminds me so much of the Colony in Palm Beach! I am not-so-secretly planning a trip with my bestie out west. This is high on the list! Any bride and groom want to meet me here at sunrise? Ok, ok a. SECOND Utah destination!? What am I crazy!? Yup. Same couple wana rumble? This one is a bit tricky because you actually need a guided tour! This is by FAR my most coveted location! I NEED TO GO! Of all the places I have traveled, I have never been to Mexico! I loved my time in Belize and I heard they are relatively similar so I would love to capture love in this little city! Vow renewal in a hot air balloon anyone? Obviously need to watch travel advisories for this one! This locations straddles the line between personal and wanting to capture a couple in love. I would need two hikers in love! I would also love to explore Chile and the Patagonia all in one trip. Out of all my travels, Southeast Asia is still the place that I would travel back to again and again. Temples, great food, amazing people? What more could you want! Come this October, I will likely cross this off the bucket list! I will be shooting a wedding on the Italian coast and this is only a short trip south! Ben and I will likely be here in March!? Any young couple have a spring break and like sushi?? After our trips to Iceland and Banff, Ben and I have a soft spot for glaciers and cold vacations! I also weirdly heard that cruises are fun here. The architecture, the culture, the scenery!? Need I say more? All of my wanderlust friends say that this is the most overlooked destination in Europe! A wedding in these gorgeous ruins!? Yes please!